I've wanted a MAC eyeshadow palette ever since I started blogging back in 2009, but the idea of spending so much on four eyeshadows meant that it never happened. After getting my first full-time job, I finally started a palette in 2013 and a few months ago I treated myself to Patina, which completed my eyeshadow quad. I decided to choose a neutral theme, with four wearable shades that I knew i'd use a lot, and now I rarely choose anything else! 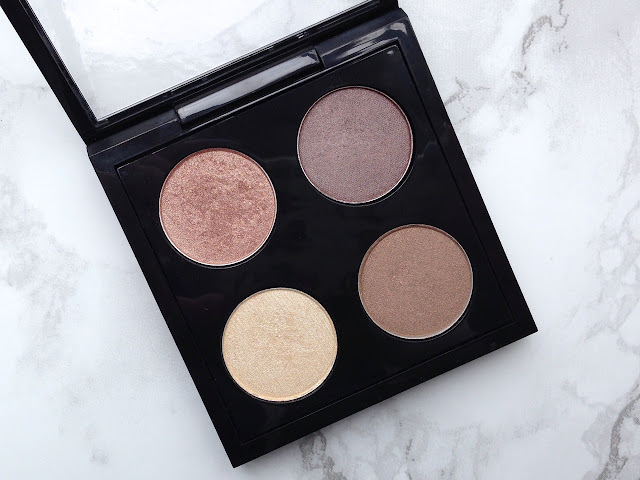 I spent a lot of time looking at so many MAC eyeshadow swatches online to try and find the four perfect shades as there are so many eyeshadows to choose from! MAC used to be huge in the blogging community about five years ago, so I had an idea of the most popular shades which definitely influenced my choice of colours. All That Glitters was the first colour I bought after hearing so many good things about it. It's a shimmery golden shade and reminds me of Toasted by Urban Decay which is one of my other all time favourite eyeshadows. Satin Taupe is a warm shimmery brown which really complements my eye colour. 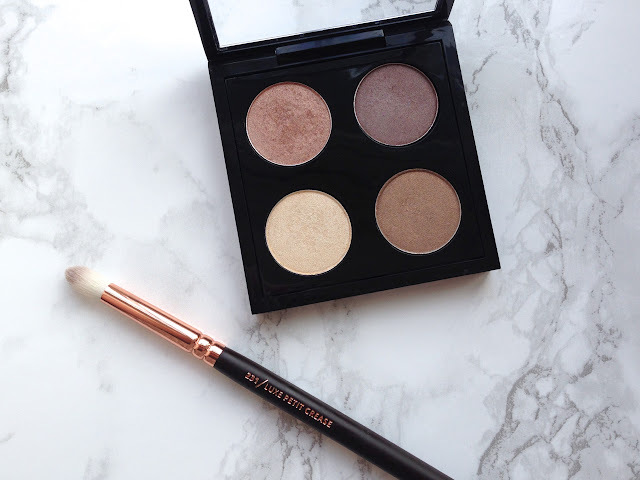 It's a really versatile colour so it's perfect for adding a bit of colour to the outer corners of your eyes or blending with other shades for a darker look. Nylon is a pearly white shade that I like to use in the corner of my eyes and I can see why it's one of the most popular shades. 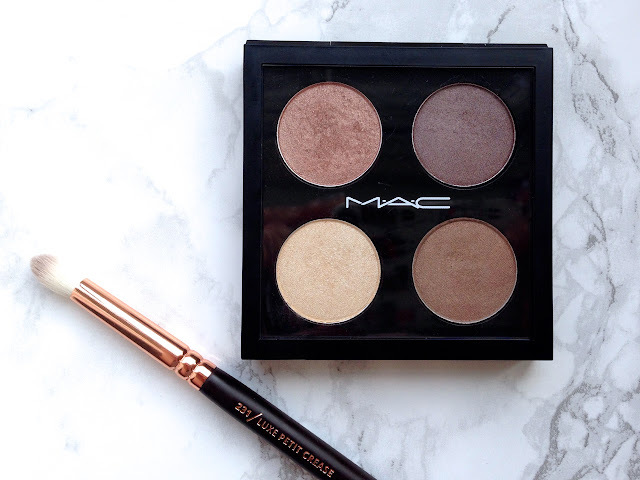 It works perfectly with the other colours in my palette and is definitely a staple that you need in any MAC palette. Patina was the last shade I bought and while it looks similar to All That Glitters it's more of a shimmery brown and less coppery. Out of the four I don't use this one as much but it's great for creating an everyday wearable look. such beautiful colors. i need to get satin taupe to add it into my big mac palette.